The Palms is a Victorian house in the heart of Great Malvern, Worcestershire, offering comfortable room only, theatre digs and self-catering accommodation. 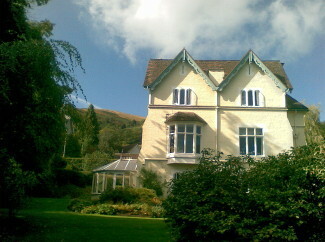 Based in a tranquil location, only a two minute level walk between Malvern College and the town centre and Malvern Theatres, the house is ideally located for exploring the local area. All rooms have superb views to the Malvern hills and Severn plain.